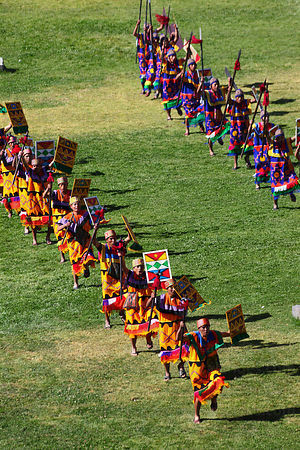 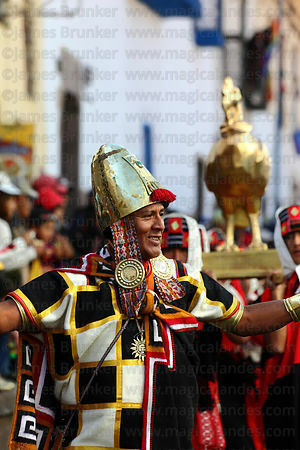 Inti Raymi (meaning "Festival of the Sun") is one of Peru's best known festivals and nowadays attracts thousands of tourists. 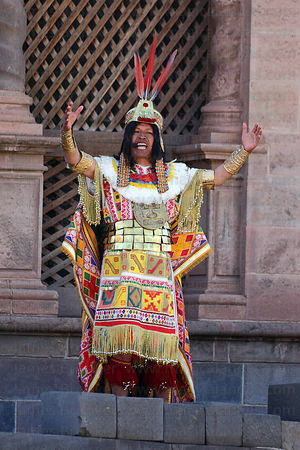 It was originally an Inca festival in honour of Inti (the Sun God and one of their most important deities) and to celebrate the New Year, which fell on the winter solstice / June 21st. 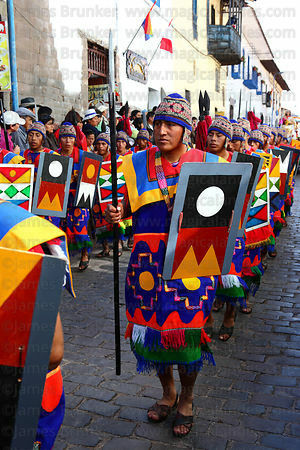 The winter solstice was, and still is, a very important date for many indigenous people in the Andes. 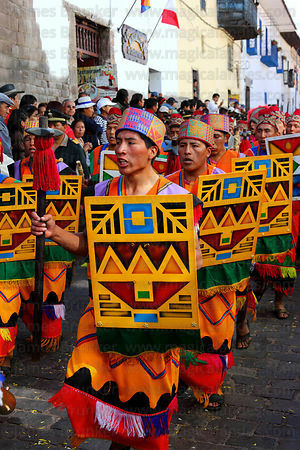 According to chronicler Garcilaso de la Vega the festival was started by the Inca Pachacuti / Pachacutec and took place in Haukaypata. 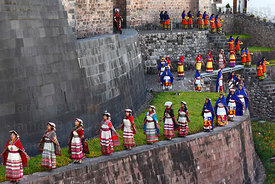 or the main plaza in the city. 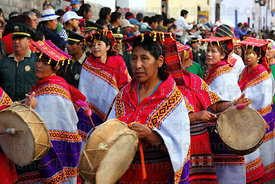 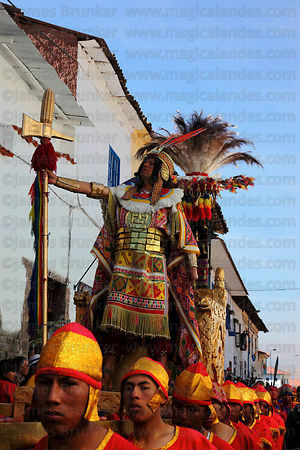 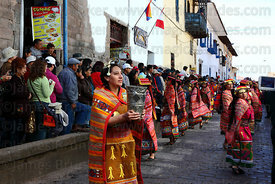 The last festival with an Inca present was in 1535, after which it was banned by the Spanish and the Catholic church. 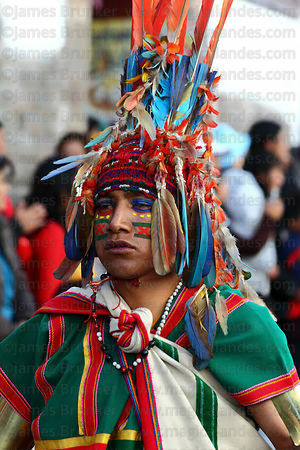 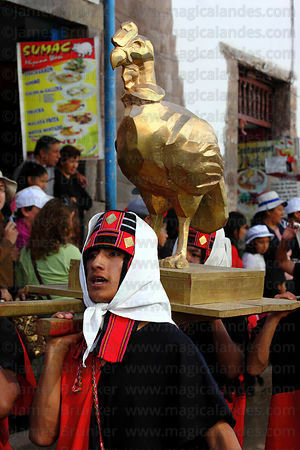 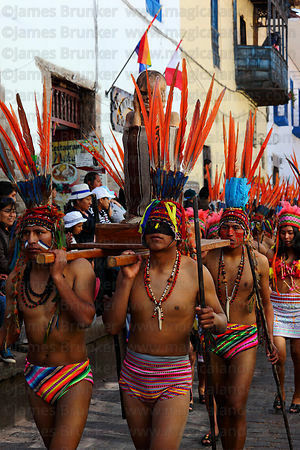 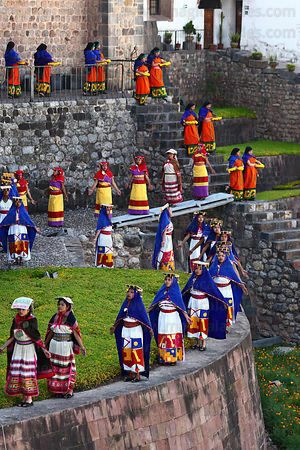 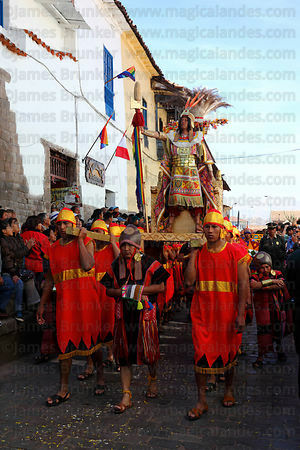 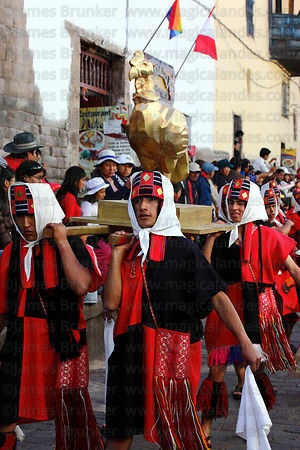 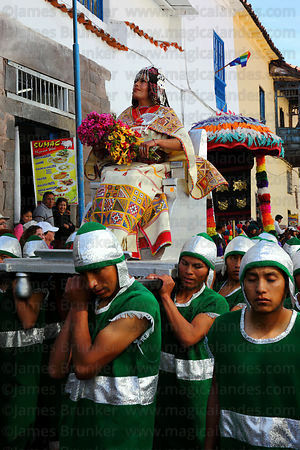 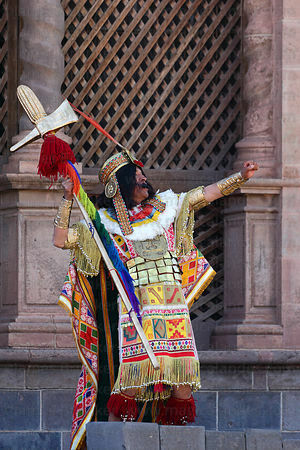 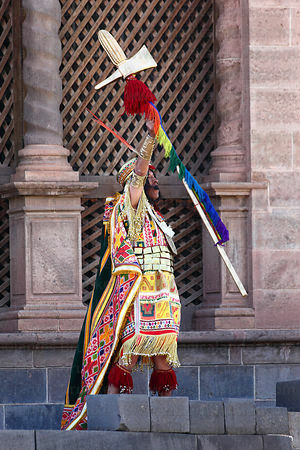 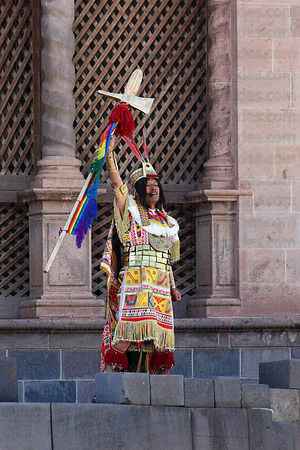 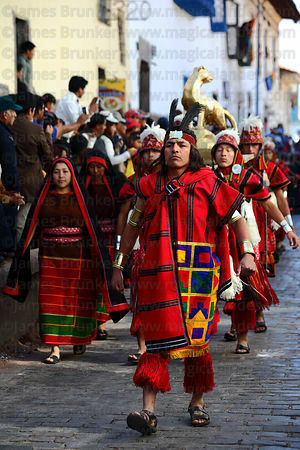 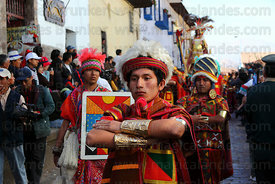 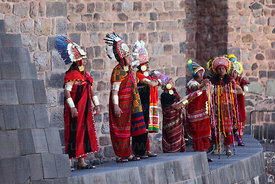 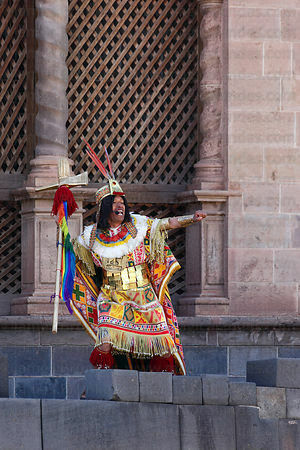 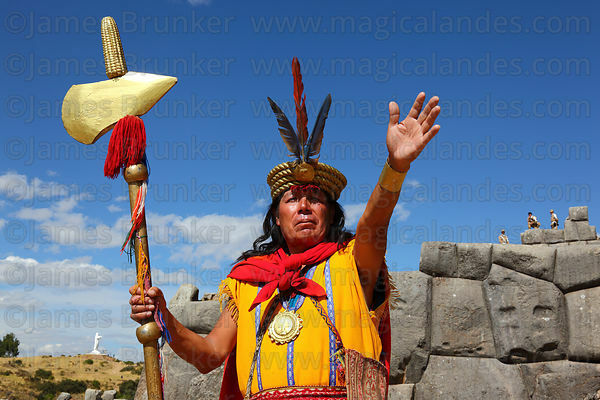 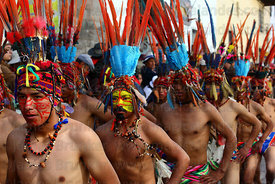 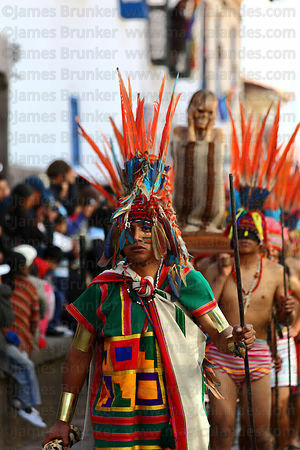 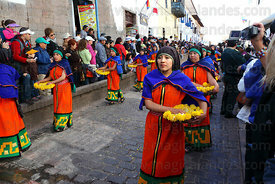 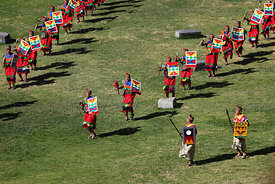 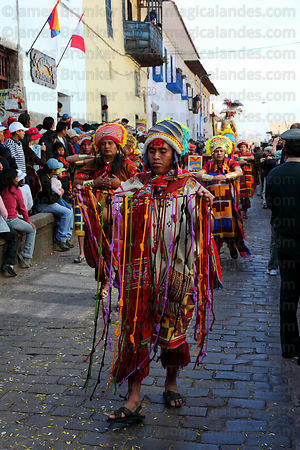 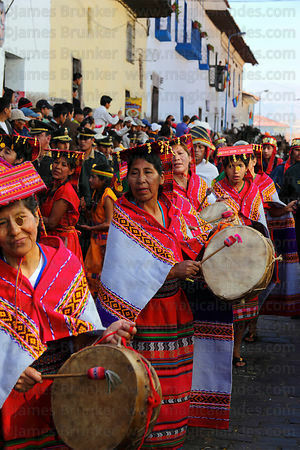 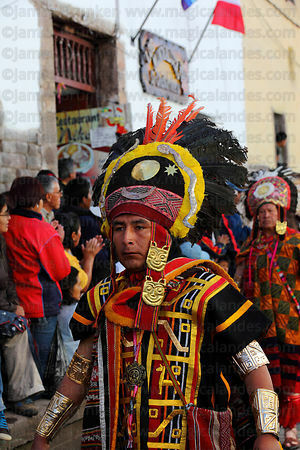 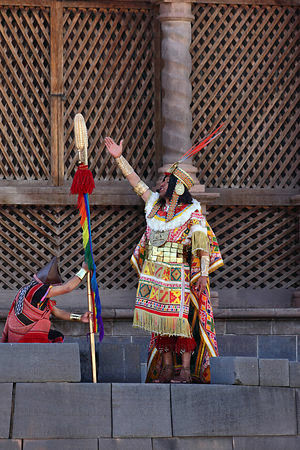 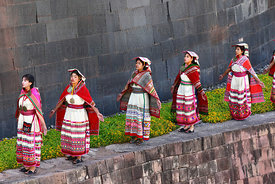 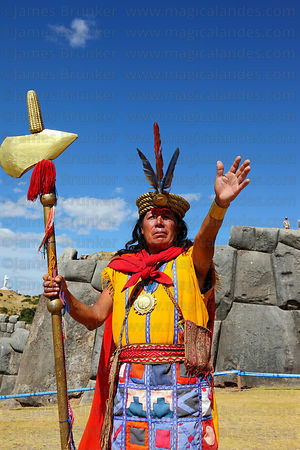 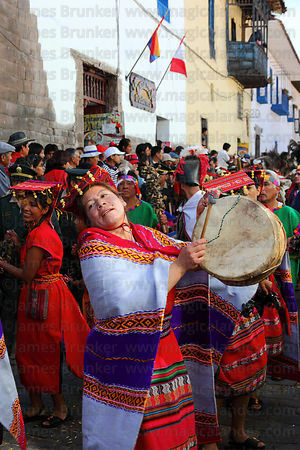 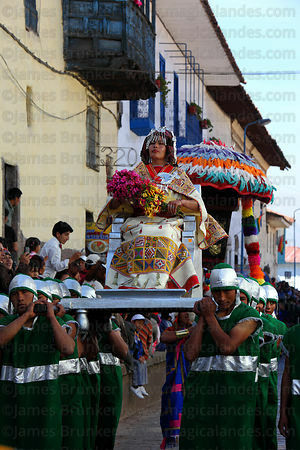 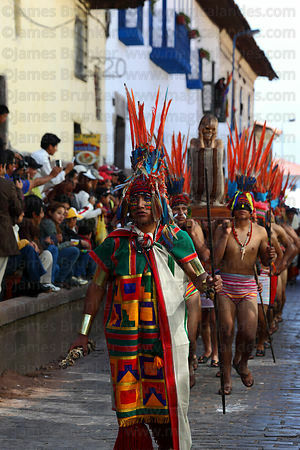 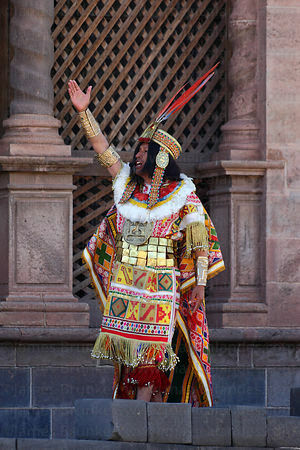 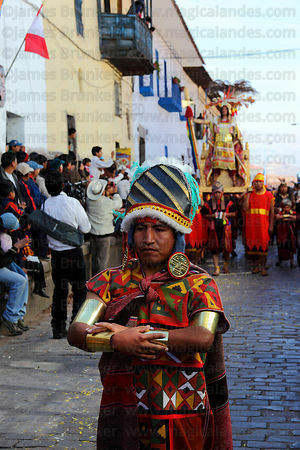 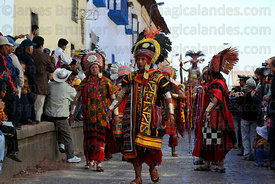 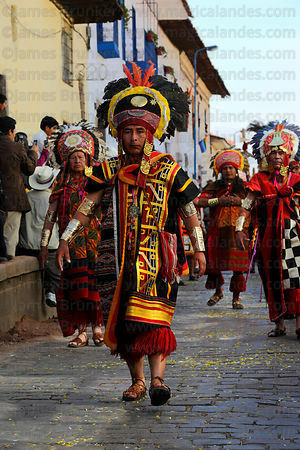 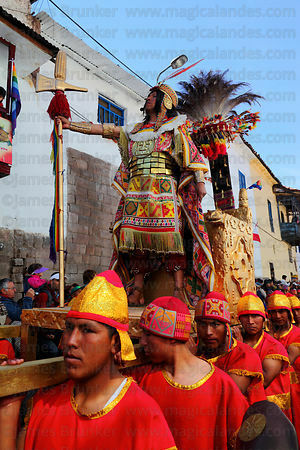 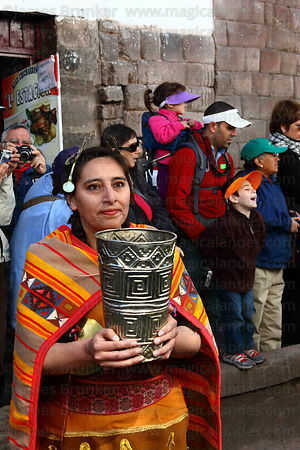 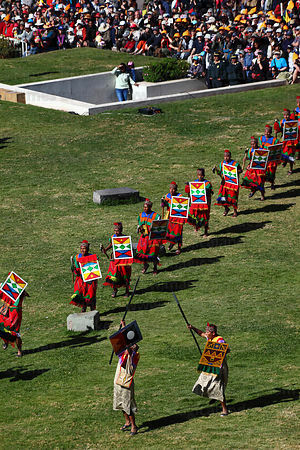 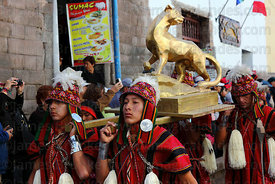 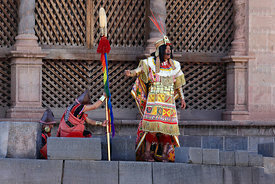 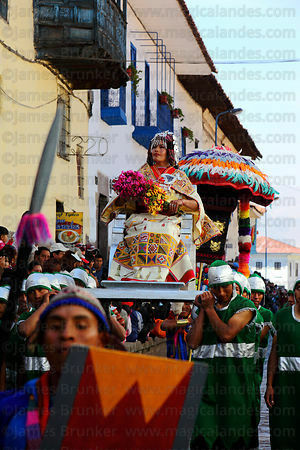 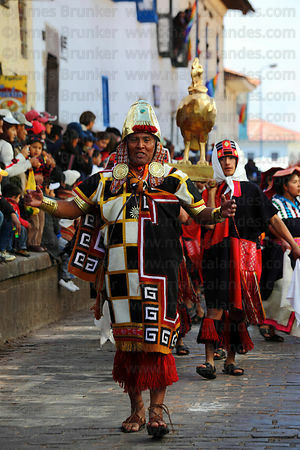 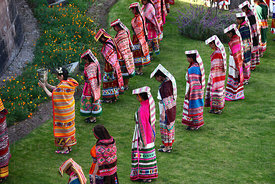 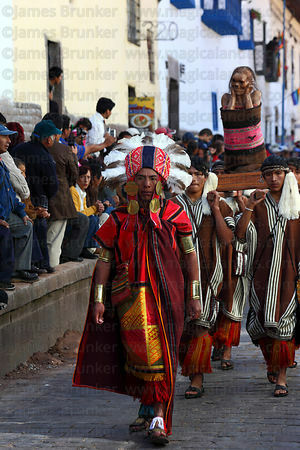 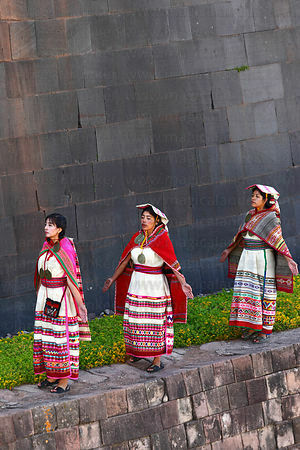 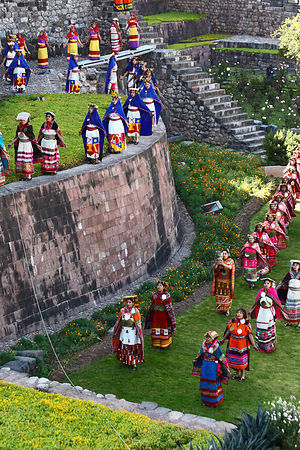 The modern festival has taken place in Cusco since 1944 and is a re-enactment of the Inca ceremonies. 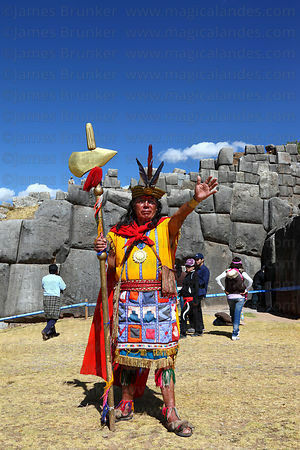 Ceremonies take place on June 24th at the Inca site of Sacsayhuaman above the city, and also the Coricancha / Sun Temple and Plaza de Armas in the city centre.